Martin Luther is quoted saying, “Let the wife make the husband glad to come home, and let him make her sorry to see him leave.” What would relationships look like if both people focused on doing what Martin Luther suggested? Neither one is focused on what the other person did or didn’t do. They are only focused on how to share their unwavering love and support to their spouse. 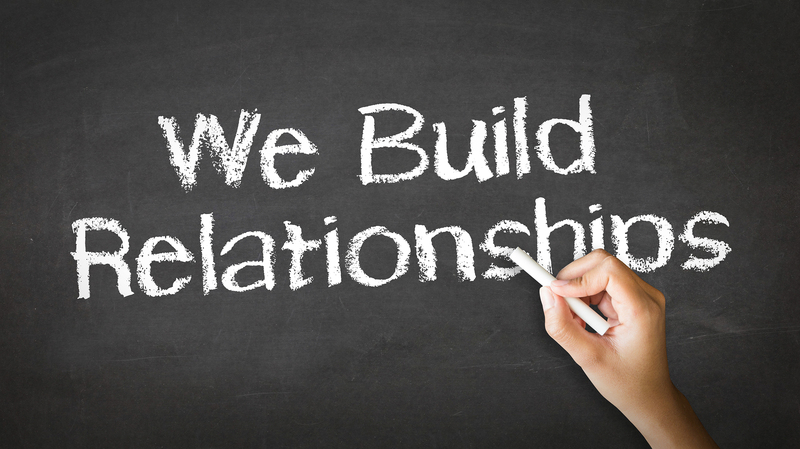 Every relationship begins with a certain amount of relational equity. Think of it as the amount of value in your account (like a bank account). Certain actions add to the balance, while others force a withdrawal. When a person comes close to bringing their relational account to $0 is when you see less forgiveness, more stress, and less love. The reality is that every conversation and action we have with our family is either building relational equity or depleting it. And depending on how much equity you have accumulated over time with the person will determine the likelihood to have your acts of kindness reciprocated. Here are 3 keys to building relational equity. On of the biggest lies we ever been told is found in the nursery rhyme, “Sticks and stones will break my bones, but words with never hurt me.” Words are extremely powerful. Words can be used to build someone up, or can be used to tear someone down. Words, whether spoken or written, can be used as a creative force to stir positive feelings and thoughts. Our words should never be used to hurt or humiliate those we love. The first key to building relational equity is to stop allowing our words to be used to hurt the other person. You know the saying, “If you don’t have anything good to say, don’t say anything.” Words of affirmation tell the person your true feelings for them. Remember, once it comes out of your mouth, you can’t take it back. So be mindful of what you choose to say. You know the saying, “Actions speak louder than words.” This is so true, especially in our relationships. If you don’t match your words of affirmation with corresponding acts of kindness, you can give the impression that you don’t mean what you say. Corresponding acts of kindness shows the person your feelings. This is vitally important if you are trying to rebuild your relational equity. Don’t allow yourself to get frustrated if your acts of kindness aren’t reciprocated or acknowledged. Depending on your history, you may have to prove that this is the new normal for your relationship. Your consistency will help your spouse and family know that you are committed to taking your relationship to the next level. Doing something “just because” is one of the best ways to prove your commitment and love. A just because moment is some form of unsolicited and unconditional act that is just to put an unexpected smile on their face. I’m not talking about washing the dishes, or cleaning the room. You should be doing that anyway. This is something that goes above and beyond the call of duty. Something like planning a “girls night out” and giving her money to enjoy with her friends, sending her to get a spa treatment if she is stressed, making her favorite meal, or taking her to her favorite restaurant unexpectedly, anything that is not scheduled, and something that is entirely for the benefit of the other person. The key to the “just because” moment is to not expect anything in return. Your focus is solely to give them something that they will enjoy. If you give the impression that you want something in return, you will be telling them that your “just because” is not really about your love for them, but it’s about what you want from them. That is not the way to build relational equity. Build your relational equity with your selfless acts of love, and in time you will see it reciprocated willingly!